Hooray!! 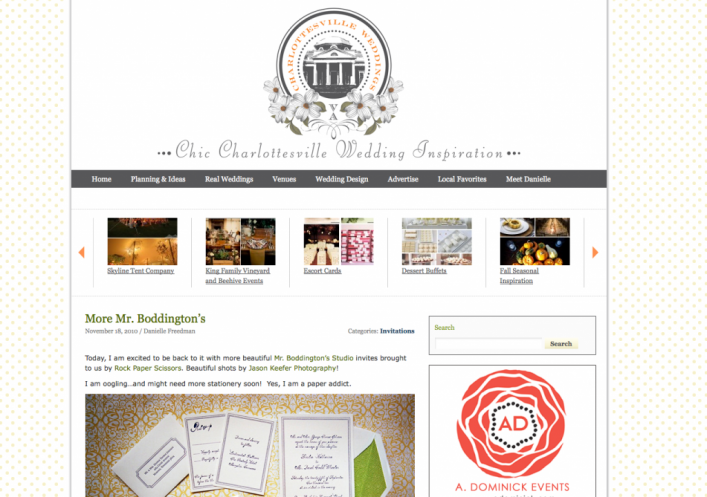 There is an exciting and beautiful new wedding inspiration blog just for Charlottesville! Check out Charlottesville Weddings for bios and helpful tips from some of the top wedding professionals and venues. Brides, get the latest updates on style trends and oodles of inspiration to make your wedding your own. I’m mostly excited to see local pros coming together to share happiness and creativity, like this stunning fall inspiration shoot by Beehive Events, King Family Vineyard and Meg Runion Studios or rock paper scissors with images by yours truly!